Every savvy bar-hopper in Dallas knows that fancy craft cocktail dens aren’t the only places for a tippler to call home: a well-schooled drinker needs a reliable repertoire of go-to dive bars. You know -- a dark, less-than-immaculate spot usually dressed in kitsch, loved by locals, and serving classic or crazy signature drinks. 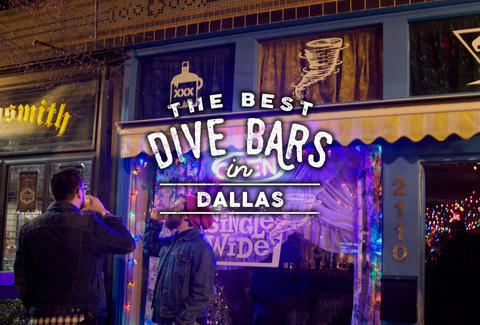 These dives throughout Dallas have some of the most character and cool, underground vibes around. The smaller sibling to the Deep Ellum dive Double Wide, this bar is lined from end to end and top to bottom with the quirkiest found objects this side of your mom’s favorite antiques bazaar. Drinks are as low-brow as all get out, with house cocktails featuring such classic mixers as Tang and Yoo-hoo. Karaoke and bingo night can’t be beat. The favored haunt of seen-it-all locals, this super-dark bar with the neon windmill on the roof turns out great classic cocktails. When it’s warm (or even just warm-ish), regulars gather on the patio. Karaoke lovers, take note: there’s rarely too long of a wait to sing at the Thursday night music night, so come prepared with several song options. Classed-up trailer trash is the vibe here where weathered picnic tables circled by retro patio chairs dot the landscape, along with a rotating slate of food trucks. If you can find a spot, head up to the adult treehouse for specialty drinks and bottled cocktails, or enjoy the scenery and a cold beer and cheesesteak on the patio. Adair's has been at its current location for like 30 years, but was already decades old before that. It's kinda like that one 50-something neighbor you have that's always drinking everclear mixed with a Sonic slushie: it's pretty cool, definitely unique, and doesn't give a damn if anyone thinks it's pretty. 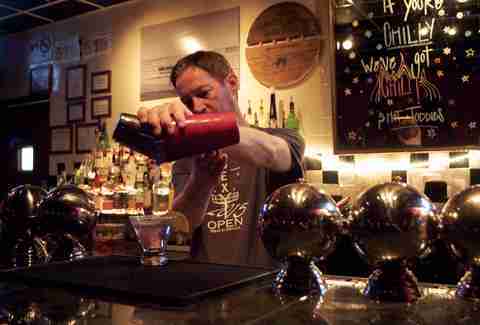 The vibe at this Skillman Street bar is ’70s basement chic, but don’t let that harsh your good time. With plenty of tables and a cozy living room-type space near the fireplace and jukebox, it’s a great spot to meet up with a group. 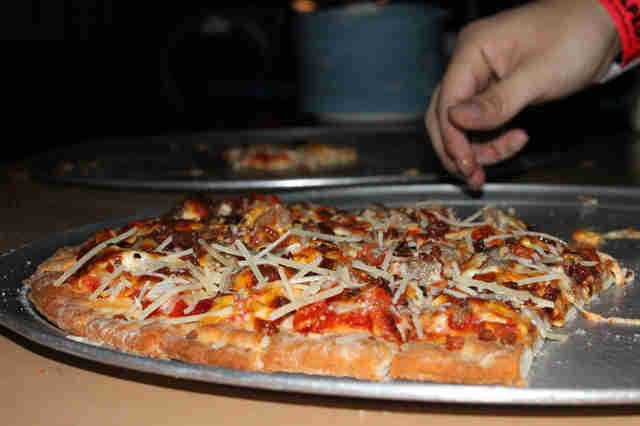 Specialty drinks tend toward the sweet side, but are fine for washing down the famous made-to-order pizza. An even better culinary bet? Popping in for Banh Mi Monday and for pho on Sundays. Leave it to Lakewood to have a place that calls itself an "upscale dive bar" that's not actually faking it worse than your prom date. It's got your pool table that's seen better days, it's got your wooden walls and vinyl seats, and it's got your cheap beer. Done. 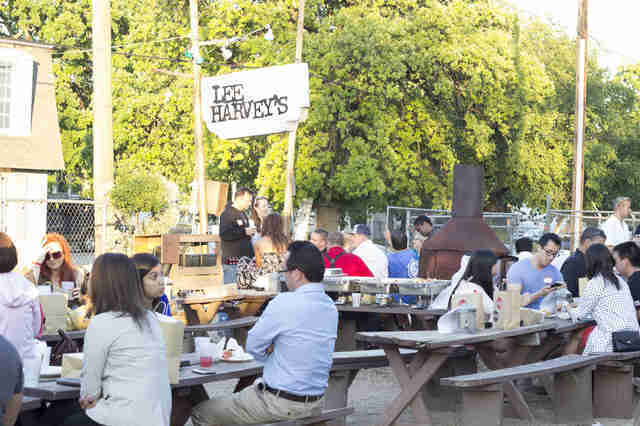 Lee Harvey's has pretty much everything you could ask for in a dive bar, from a gravelly, picnic table-lined patio encased inside a chain-link fence to fistfuls of addictive onion rings to an interior that hasn't been updated since the days of its infamous namesake. 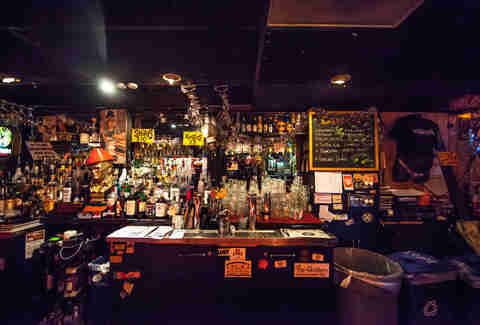 What vital elements of a great dive bar does Tradewinds have? Crazy cheap drinks? Yep. Crazy strong drinks? Check. Mixed and matched furniture -- hey wait, is that your old couch from college? On top of all that, it has quite possibly the best-worn shuffleboard table in Dallas, although that might be an illusion brought on by those strong drinks. Ships is one of G'ville's most venerable establishments. If you know of a more unpretentious, legitimately down-to-earth place to get your buzz on, let us know in the comments below. 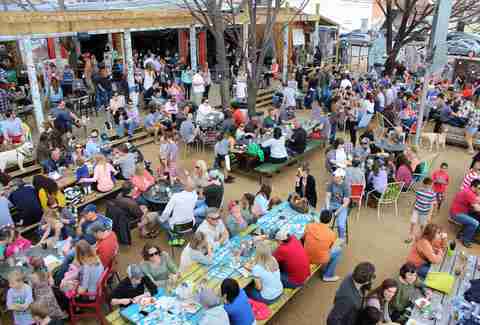 The DW's a Dallas staple, so we really shouldn't have to explain it to you, and if you've been there for enough happy hours and live music your attention span probably isn't so great anyway. Any ode to trailer park culture complete with a tornado bearing down on it warrants inclusion. Part blues bar and part fantastic karaoke bar (provided you didn't decide THIS is the night you're tackling "Come Sail Away"), it's open way early in the morning (7a) so you never have to worry about sleeping one off. Unless you stay all day and night. Which is a possibility. Farah Fleurima loves to hit a good dive bar when she's not updating the classed-trailer trash aesthetic in her own home. Follow her for design tips at @thedallasdiva.